Sandbox and Starter accounts won't see the Agents section as they can only have 1 user per account. If you don't have any Facebook Messenger or API-based channel integrated, you won't see the Channels section. Agents. In Landbot platform, an agent is the person who deals directly with the client in case of human interaction option is chosen by customers. The agents are the users of your company who have access to the platform to talk to users through the channels added. 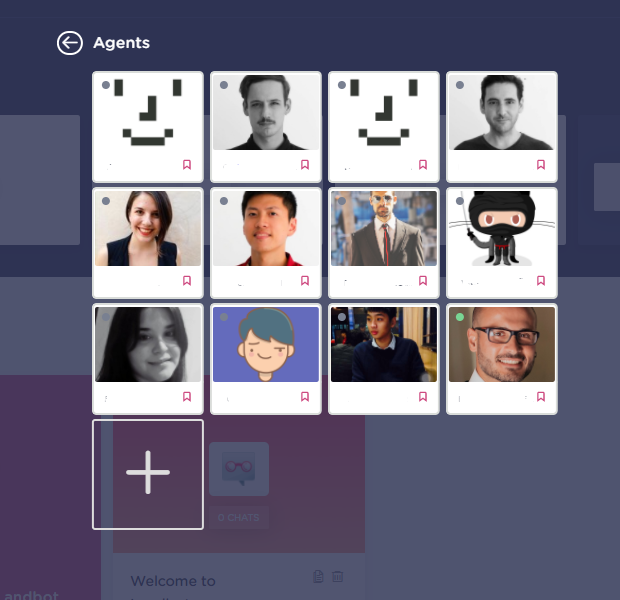 Use this section to add new agents, manage their rights and change their avatars.